I made a promise to myself after that event that I would never ever willingly participate on a manel (or get invited to join one without speaking up). This was my own version of The Pledge. Thankfully, the events that I've spoken at since then have been manel free. A few weeks ago James Clay tweeted out that the event he was attending had “no female speakers.” The Advance HE event, on the “Brave New World” of HE with “thought leaders across global/UK contexts,” had 12 sessions with 12 male speakers. Thankfully, Simon Horrocks was on the case with an excellent Twitter thread as well as a thoughtful blog post calling out the need for gender diversity on panels and speaker lists. Last week at Ellucian's annual customer conference, a higher education CIO manel held during an “Executive session,” featured 7 men and no women. It was acknowledged as a “miss” by Ellucian's CEO, Laura Ipsen. 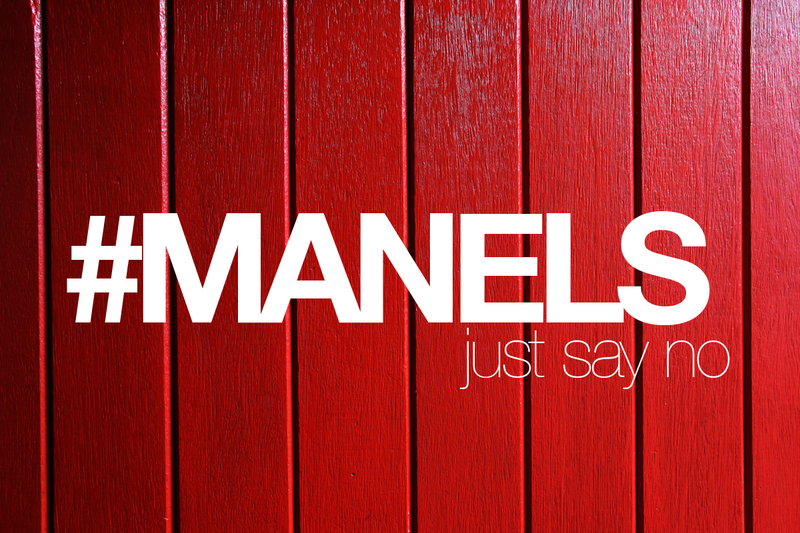 In conclusion…wait…, I literally just saw another manel this morning as I was perusing the social web. At this year's Spring Higher Education CIO Congress, the opening keynote panel on “The Evolving Role of the CIO – Is It the Best or Worst Job on Campus?” featured, you guessed it, 3 dudes. Billed as an 'invite only' event (I'm sure they'll be calling me next year), the HE CIO Congress is “a premier gathering for CIOs, CTOs, Chief Innovation Officers and CISOs from institutions across the country.” And, because you can't make this stuff up, the rotating carousel of past keynote speakers on the RTM Higher Education CIO Congress website features 5 men and no women. Lastly, I've seen a disturbing trend (at least within social media posts) that goes like this: “Organization asks a bunch of men to either be on a panel or be featured speakers at an event. Organization asks a few women to participate in order to 'bring gender diversity to the table.' Due to 'reasons,' the already limited number of female speakers aren't able to participate. Organization issues non-apology apology by stating that they tried to include women in the program, but none of the women they asked showed up.” This happens over and over again. Do you tweet? Let's connect. Follow me on Twitter.